Gone is the shiny, sleek future the 1950's envisioned; the harsh light of reality, with all of the damage we have brought to the planet, has turned our long-term prognosis to the dark side. 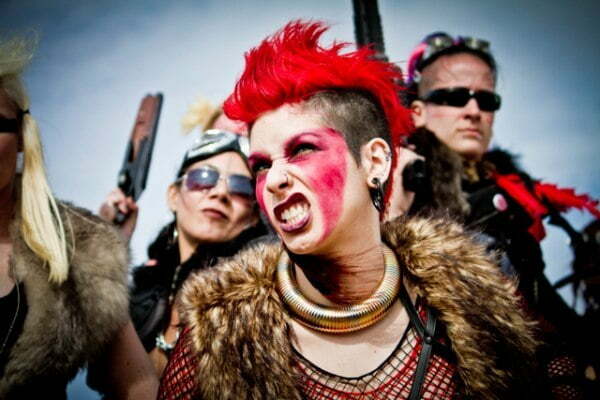 So what should you wear when the end of the world is nigh? 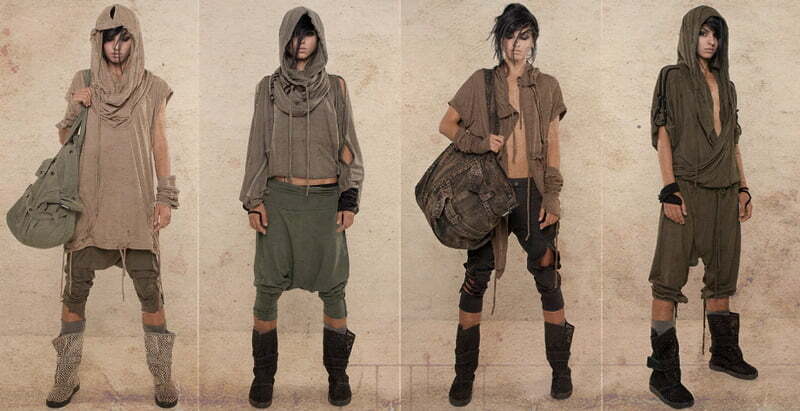 Outfit yourself for war- the time for post-apocalyptic fashion is here. Functionality is very important in an outfit once society has collapsed. It is advisable to have plenty of pockets, as you never know where a useful item will turn up and it would be a shame to be unable to carry it back with you. Look for cargo pants, utility belts, and helpful hip holster bags. Color is not as important as functionality, but camo-influenced colors such as khaki and olive drab are preferable- sand and earthtones work well also. It is also an excellent idea to have at least one pair of goggles- it is likely mankind will experience drought on a level never before known, and you'll need something to keep the dust out of your eyes. Utility goggles will work best, ones with a good seal around your eyes to keep all that grit out. You should also have a gas mask for all that dust, and for the occasional chemical attack from one of the roving gangs of bandits that will inevitably attack your group of survivors. Goods of all kinds are in short supply, and the welfare of others is not a priority to the starving and the crazed. You should also be prepared to go on the offensive. Equipment cannot be abandoned or left unattended at camp while you're out, so use your extra ammo to make bullet belts. You'll always have an extra supply on hand that way- you can even have a bullet necklace, if you feel like having just one more around. In the world we live in now, it can't hurt. Clothing is hard to come by out here. Most of it is at least a little destroyed- torn shirts, shredded tops, sliced pants. Such are the times! Anything you can find to help you keep a low profile will be a help- sheer net tops are great for layering, as the weather is hot but drops rapidly once the sun goes down. Hooded shirts will help to keep the worst of the sun off of your face, which is important if you don't want to die from exposure. Lets just say that the stuff we wear wouldn't have been on the cover of Vogue- maybe Outdoor Life, though. In addition, you'll want to keep a few things on hand. Staying hydrated is very important, so you'll want to take at least a hip flask with you. You can even fill it with water, if that's your thing. 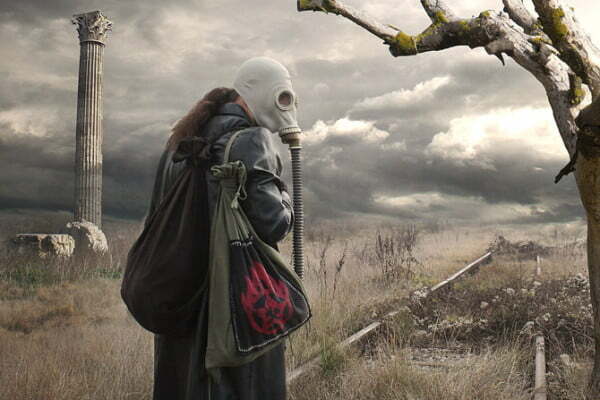 Bring along a face mask, too, in case something happens with your gas mask. Heavy leather bracers can come in handy if you get into a fight- some of those raiders don't have weapons, so they just try to bite-and it's better if they don't get their teeth into you, if you know what I mean. Any accessories we have tend to be pretty simple, like torque necklaces and cuff bracelets. It's always good to have something on you that can be traded, in case you come across a friendly that's willing to deal. All that fancy stuff, though- that's all gone now. This is the end of the world, like it or not. 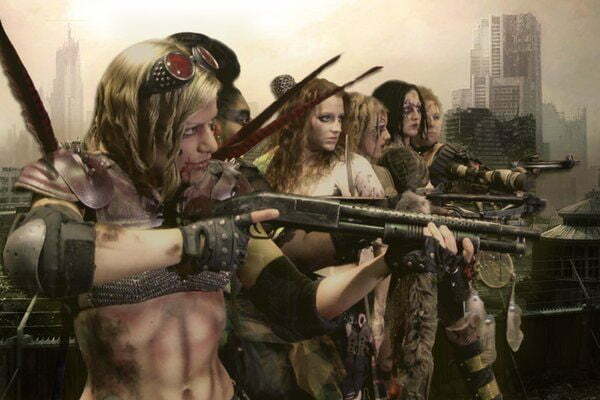 This post-apocalyptic style, it's what we have now. This is what the world has come to. How do you think the world will end? Tell us in the comments! The Goth Zodiac: Wanna Dress For The Dark Side Of Your Sun Sign?